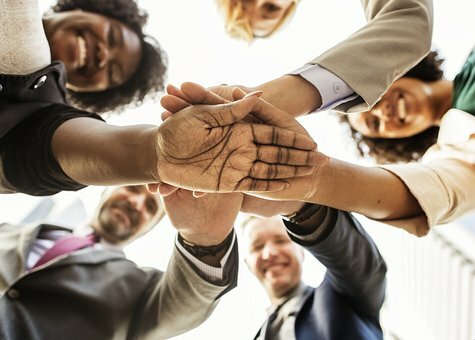 Many current news stories about fair treatment and equity in society are reminders to take those issues head-on in the workplace. When interim executives take new jobs, they can set the tone for a company culture that’s both inclusive and productive. When a new executive enters a company, it is a time that many employees under them see as a reset or a fresh start. This is because of many factors. Companies that promote fast growth over healthy company culture, for example, can often become toxic work environments. When people work hard for profits at the expense of treating one another with respect and dignity, employee trust levels drop. Interim executives have a unique position when they begin working with a new team. They can see where relationships are working and not working. They can use their business intuition and experience to redirect employees away from counterproductive habits and back toward proactive efforts. The newly placed executive has the opportunity to do this on day one. Early actions will have lasting benefits, hopefully even outlasting the tenure of the interim. Stakeholders up and down the line will take notice and make adjustments. Chances are, the profits will follow. Every organization is made up of people. When employees feel respected they spread it to others, from their managers to their customers. One easy method for interim executives to show that they value inclusion is to involve employees in company activities and planning. The goal, according to entrepreneur Jeff Greenberg, is to make everybody feel as if they’re supported and empowered in the process of building the organization’s success. The responsibility for setting this tone is in the hands of company leadership. As Greenberg puts it, “Having a person at the top who’s a visionary is not sufficient. They also have to be a people person.” Interim executives can begin this process by setting up lines of communication so that everyone knows their roles and has clear ways of providing input. It certainly takes time to establish a lasting company culture. However, the interim executive can lay the foundation for long-term positive changes. Ultimately, the positive company culture will become the brand people recognize when they think about the product. For this reason, the brand should not become identical to the persona of the CEO, as so often it happens. This is particularly true in the cases of some of the more high profile, even notorious, CEOs. Instead, a high functioning culture of equity, teamwork, inclusion, and productivity should be the goal. SMW‘s interim executives have a unique opportunity to set this kind of tone when they step into their roles.